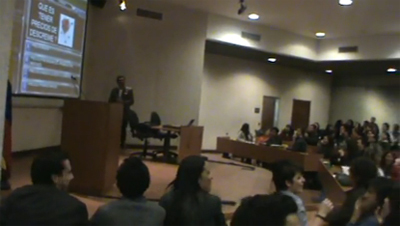 The entire audience played the Shaken & Stirred game built by BRAVO! Quiz Show. 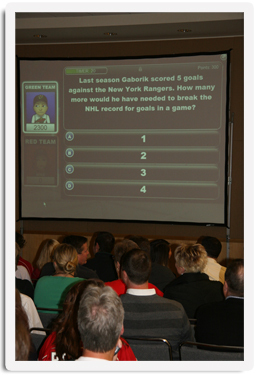 Over 100 people used wireless keypads that instantly interacted with the game. 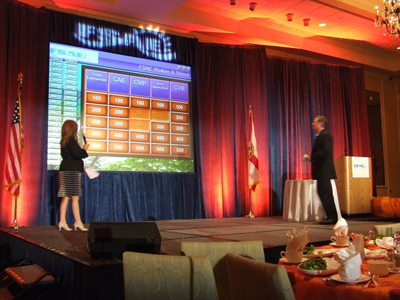 A built in leader board added exciting competition for this group of Florida Association Directors. The Minnesota Wild hockey organization featured a BRAVO! 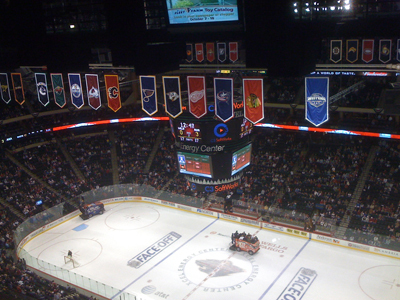 Quiz Show game between periods of their first hockey game of the 2009 season at the Xcel Energy Center. The BRAVO! game board was displayed on the big Xcel Energy Jumbo Tron allowing the entire stadium to visually participate. Jim Cunningham was the MC and helped deliver a new exciting way to play game shows with BRAVO! BRAVO! will be featured at every Wild home game for the 2009 season. BRAVO! 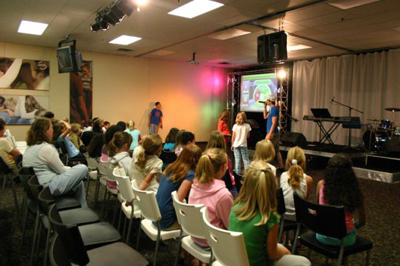 was an added event to Emmanuel Christian Center's Vacation Bible School (VBS) this year. The entire theme was based on game shows so playing a BRAVO! game with their content fit perfectly with what they needed. 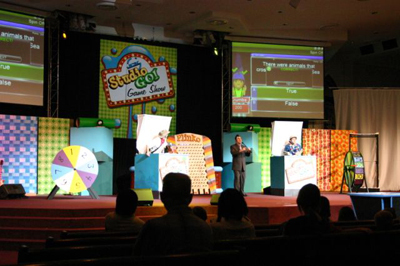 After the morning game show, each age group attended a bible trivia competition with wireless game show buzzers. BRAVO! 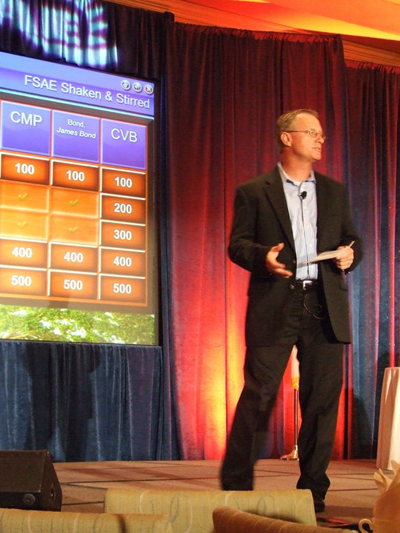 Quiz Show was the main course at this event, celebrating the achievements of this 400 employee division of a prominent Minnesota insurance corporation. The event had a baseball theme (it occurred on the same day as the opening of the Twins Spring Training Camp) with attendees dressed in baseball garb. 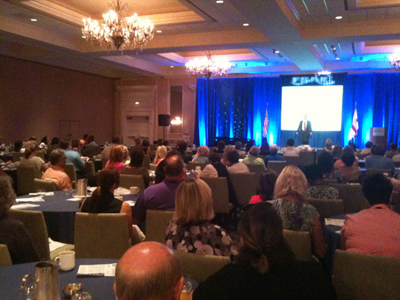 The event was hosted by Jim Cunningham, the Voice of the Minnesota Twins, and featured 4 large projector screens and a professional sound system. 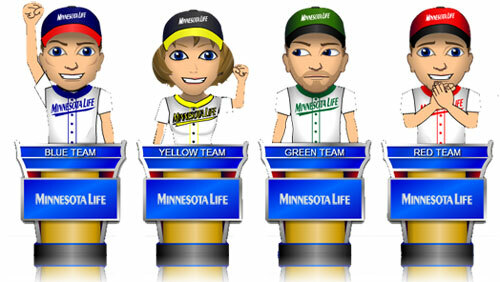 The game, created in Quiz Show, featured Avatars, made up to look like the team captains, and a customized game board to represent the company's brand. After the event, the employees got to play the same game again online. 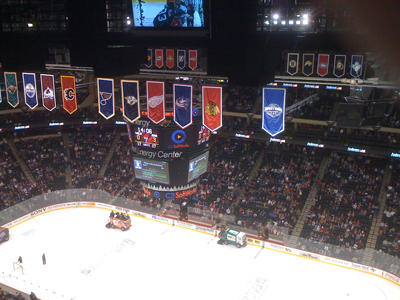 The Excel Energy Center recently hosted their annual Minnesota Wild Bowl using our very own, BRAVO! Quiz Show. 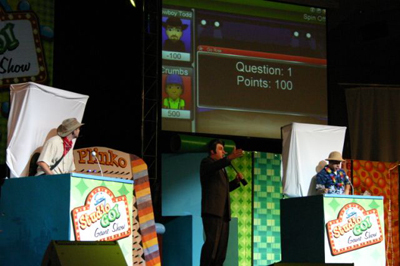 This event was staged as a game show with a host and two teams on either end. 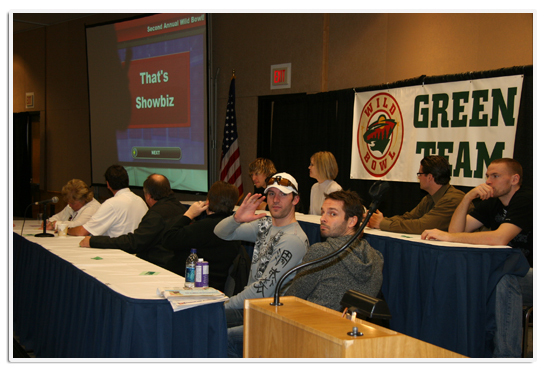 But this was no ordinary game show, these teams consisted of both Excel Energy Center employees and a host of Minnesota Wild professional hockey players! 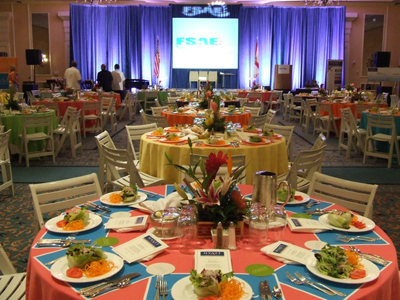 Each table was equipped with a wireless buzzer that automatically tied into the game so the host knew who was ringing in first. 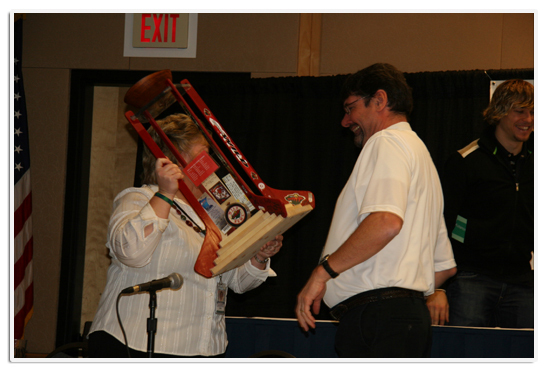 It was a battle to the finish to see who knew more hockey trivia - the Red Team or the Green Team The competition culminated with a tension-filled final question round, resulting in a win for the Green Team and an “NHL-style” awarding of the Wild Bowl 2008 trophy. 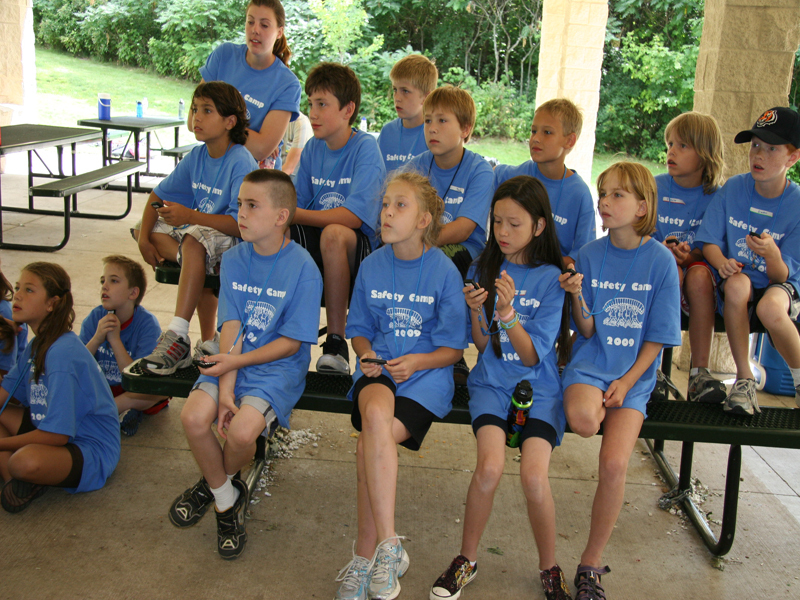 Summer Safety Camp with BRAVO! Last week, at the Woodbury (MN) Public Safety, “Safety Camp,” I had the opportunity to see the BRAVO! 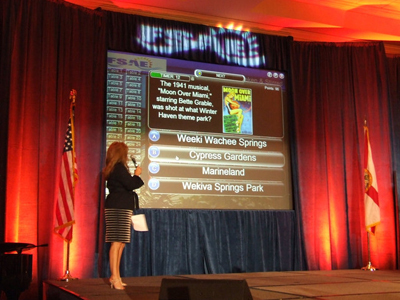 Software in use with Audience Response Pads (ARS). 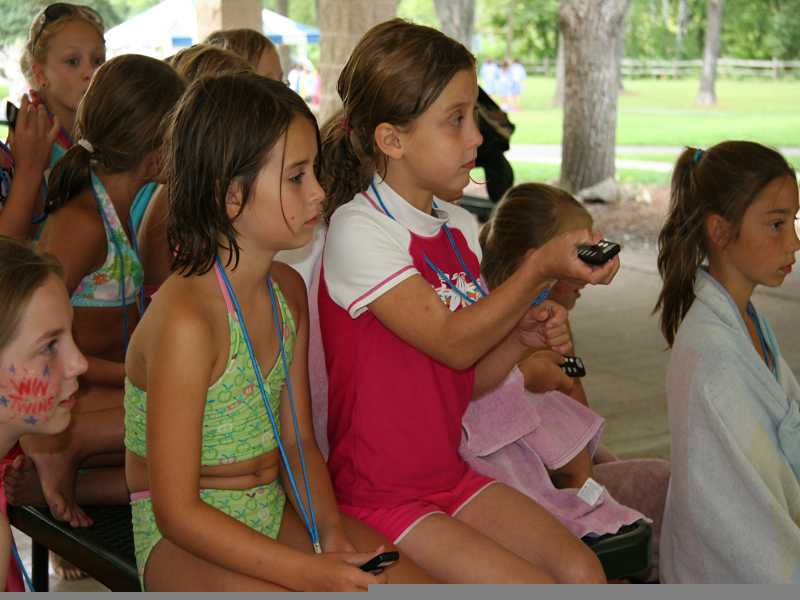 Each year, about 120 kids attend the 2 day camp, that features Police Officers, Paramedics and Firefighters along with support staff, serving as counselors during the event. 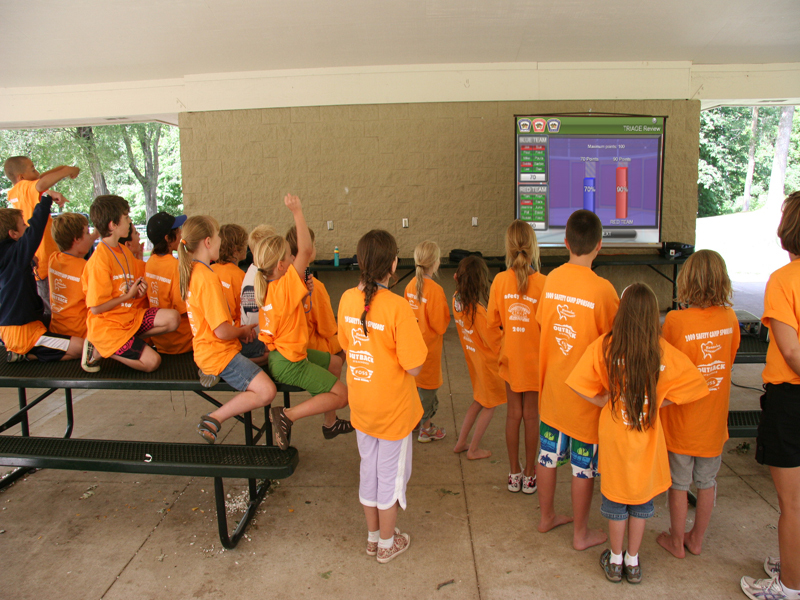 The goal is to have some fun, but also to educate them on a variety of safety topics. After five minutes of instruction on the use of the game with audience response pads, we got started. 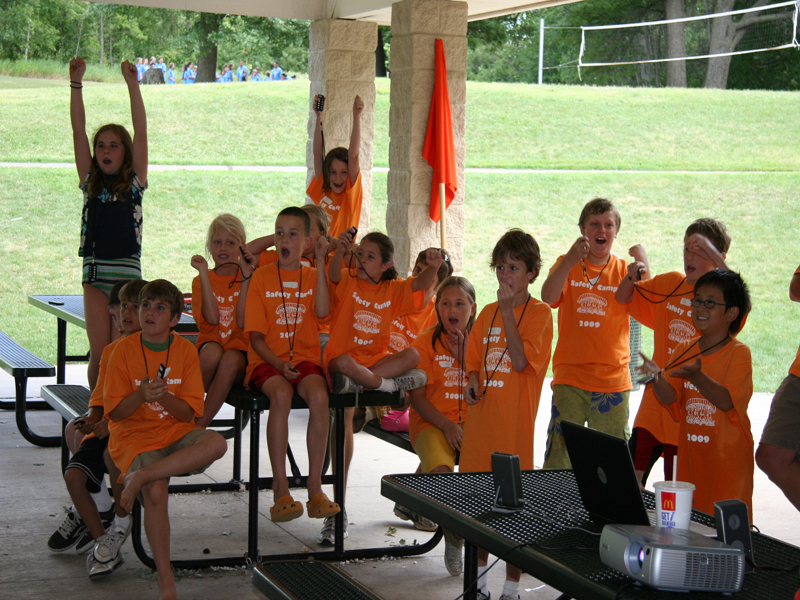 Our game show host divided the group into 2 teams, boys against the girls. Every participant got an Audience Response Pad to record their answers to the questions. 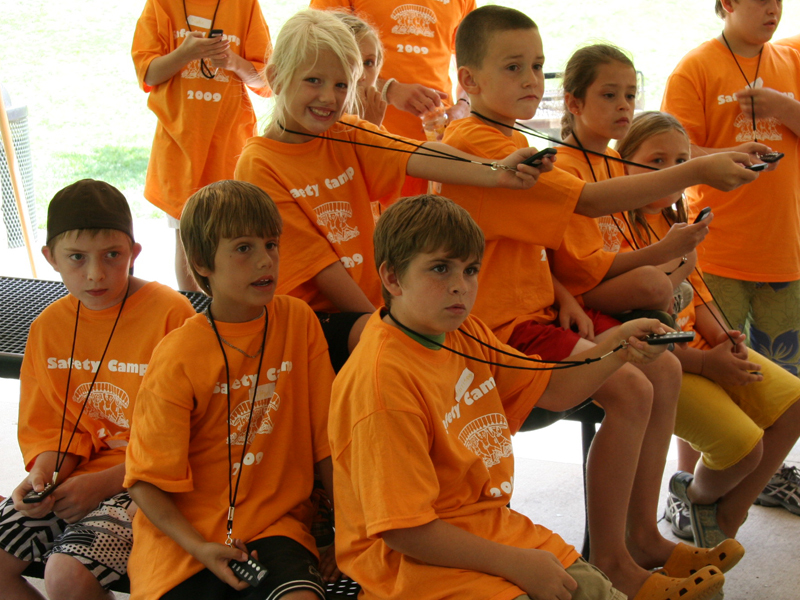 The game play followed a simple format: a team would pick a question, like “Safety First” for 200 for example, the question would appear, the instructor would read the question and the answers and the kids would answer with the ARS pads. After everyone answered, the instructor would reveal the results of the responses. She could see then how everyone voted and know what type of remediation was needed. 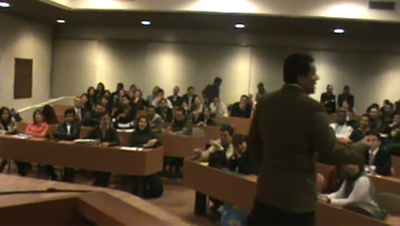 The instructor was able to immediately clarify misconceptions or misunderstandings - a true teachable moment. 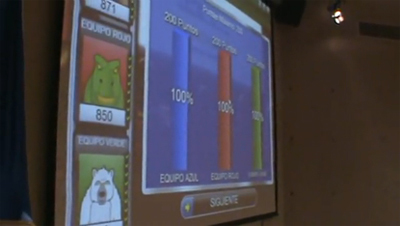 She would then select the correct answer, and then show a screen where the results where tallied for each team. This is where the excitement started to build. An animated graph illustrating the results would appear and everyone would cheer. Watching from the sidelines, I noticed that everyone was involved, with their eyes glued to the game. Even the counselors commented on how the game really grabbed every student's attention. This was their first use of ARS pads, and they loved it. They loved it so much, in fact, that the DARE officers (Police) and the Fire Department want to use them in the schools. They saw clearly how the game was able to grab and hold the audience's attention better then anything else they'd seen and, most importantly, deliver their instructional content.